Hello! 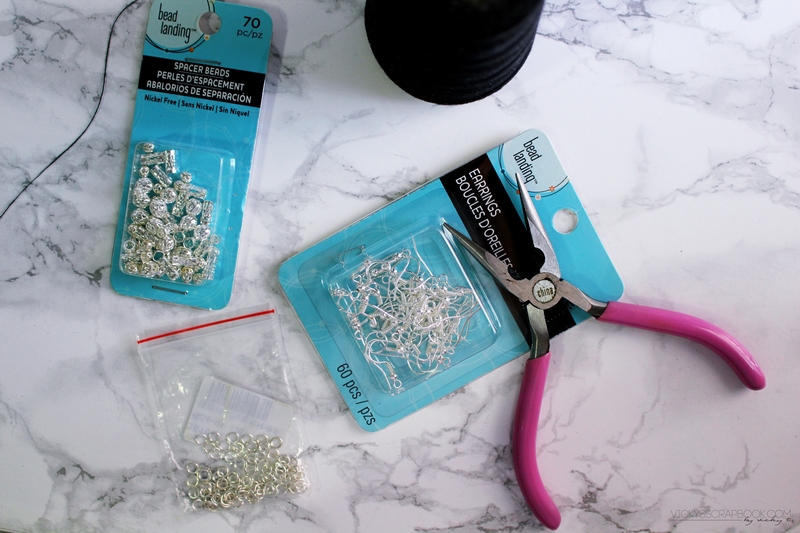 I’m finally back with a DIY post. So I’ve noticed a lot of tassel adorned clothing and accessories lately. 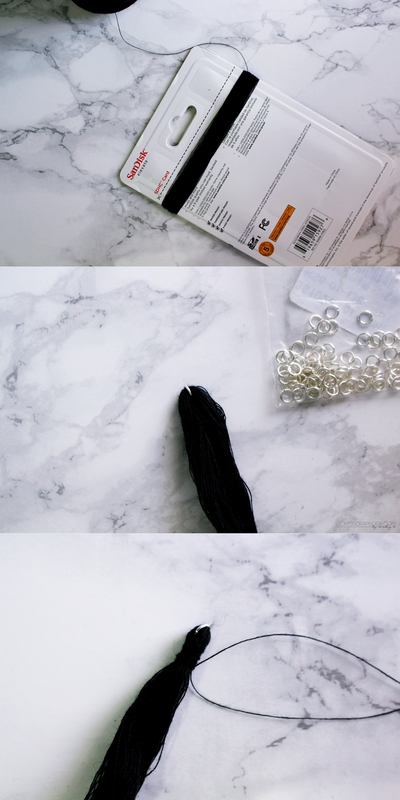 I really like those long tassel earrings and this DIY is an attempt to make one. I used the cardboard from my memory card packaging since I liked the width. I wrapped thread around it until it was a good enough thickness. Then slowly I removed the loop and added a jump ring on one end. Using more thread, I then tied the end with the jump ring so it won’t come off. I picked a long tubular spacer bead that was able to be forced open and I used that to wrap around the top where I had just tied. Then, I could add the earring hook and cut open the loop at the bottom. Repeat and I have a pair of earrings. 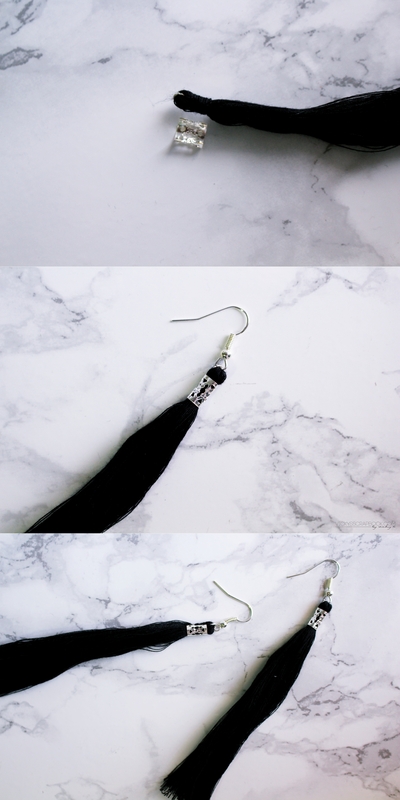 I think these tassel earrings are simple enough for a casual outfit but also chic enough for a formal dinner. What do you think? Oh wow, they’re lovely! Definitely wearable at any time!